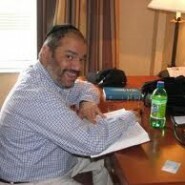 Seven and a half years ago, businessman Howard Finger had never even opened a Talmud or stepped foot inside a yeshiva. But last week, 2711 pages later, Finger celebrated his completion of the Babylonian Talmud. Finger’s heartwarming story appears along with many others in the article “The Hadran Heard Round the World: Pictures and Perspectives from the 12th Completion of the Talmud” in this week’s issue of Mishpacha Magazine. My family and I moved to Melbourne from Manila in the Philippines in late 2004. I thought it was to provide our kids with an effective Jewish education–but Hashem works in mysterious ways. In February 2005 our friends Ralph and Aviva Greenberger joined us for Shabbos lunch and Ralph told me he was going to a Siyum HaShas [a celebration of the completion of the entire Talmud, which takes place once every seven and a half years]. I had never heard of daf yomi [the tradition of learning a daily page of Talmud] but was intrigued. However, I had no idea that was going to be the last day for seven and a half years that I would sleep beyond 6 AM or read any book other than the Talmud. The next day I went into Gold’s Judaica Store, and, against proprietor Yirmeyhahu’s better advice, I bought only the first volume of Brachos. The idea of buying even three books, let alone 72, just seemed absurd. When I sat with Rabbi Nachman Sofer, Moishe Laundau, and eight other daf yomi starters, it was the very first time I had ever opened a page of Gemara. I felt nervous, intimidated, and ignorant. But the Talmud is amazing, and when we began the mishnah about the Shema, I was comforted by the familiarity and inspired by the fact that for the first time I wsa going to learn from the source. Well, those first few weeks were seriously intense– a one-hour class at 6 a.m. at the Kollel Beis HaTalmud. And then at least another hour reading all the ArtScroll footnotes just to get my head into the logic of Gemara-thinking and trying to grasp some of what we were learning. I do recognized the importance of learning Gemara in its original Aramaic but for someone like me, who grew up in the East End of London, the only Jew in a school of a thousand kids and who had never even stepped into a yeshiva, the ArtScroll Schottenstien was like a magic key giving me access to an amazing world of learning, knowledge, and Torah. People ask me how much I learned from the daf, the daily page of Talmud, and what I remember. Of course, the daf is frustrating– you want to drill down, you want to understand, you want to spend more time, but you can’t. You think you are retaining so little but then you start a new chapter or Talmudic discussion and you realize that you know things– you know what a kal vachomer and a gezeirah shvah are, you know about generalizations and specifications and about pigul and nosar and cheilev and you know what the inside of a cow looks like; you wonder about demons and you know not to walk behind palm trees; and how to avoid snake poison and why we ruin good wine by cooking it; and you know something about weddings and divorces and just a little about levirate marriages. And you have some sense of the value of kavanah and the importance of humility and about the size of the world and the size of Heaven and the love and fear of Hashem and on and on and on. And then you know you are hooked when you get truly excited when your learning coincides with the weekly Torah portion, and seemingly from nowhere the parshah makes so much more sense, and you smile and you feel more connected and closer to Torah. So bottom line, you don’t have enough time, you do only skim the surface, and sometimes you just have to let go, give up, and move on. But from my perspective, it honestly doesn’t matter. Whatever I learned is more than I knew before and even more importantly, despite myself, while being a husband and father and running a business in four countries, I have consistently spent over 3000 hours over the past seven and a half years in the critical mitzvah of learning Torah. I hope you will all agree that it doesn’t get any better or more worthwhile than that. And now here I am, completing my journey of this cycle of daf yomi exactly on my father’s shloshim, the 30th day after my father’s passing. I therefore wish to dedicate all of my learning to him, confident in the knowledge that his soul will be raised to the highest level of bliss in the Garden of Eden. *Please note: There is no connection between the man in the featured photograph and the author of this article. Thank you for posting this inspiring story. Torah can only influence for the better if learned with humility. This is inspirational, and reminds us of the power of Torah learning for ourselves and our husbands. i really loved this article. my husband has just started learning the daf yomi for the first time. thanks for posting. just one little thing: if the image is not going to reflect the person in the article, rather have a more general image like a talmud, (same thing in the kalla story); the images are so real and related they seem to be to real person until your disclaimer at the end.